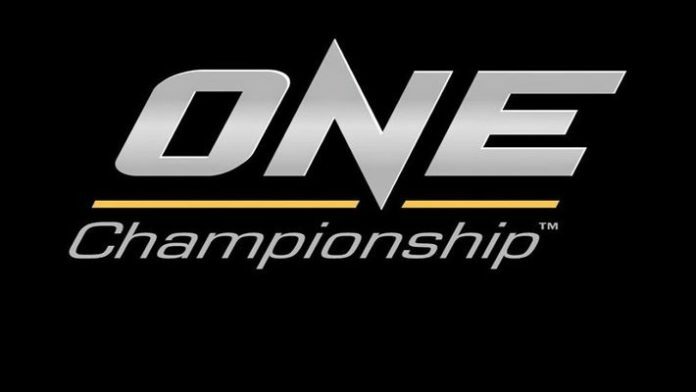 It was only a matter of time before ONE Championship started to make its moves in the United States, and now we have some more clarity on the matter. ESPN.com’s Ariel Helwani reported Tuesday that ONE Championship has signed a new three-year deal with Turner Sports to bring Asia’s top MMA promotion to the U.S. audience. The deal calls for 24 events to be aired on B/R Live, plus shoulder programming, taped events and a reality show on TNT. It’s great news for ONE, who have been looking to make a mark in the Americas for a while now, and also for fans, who now have a better way to watch the ONE product. We figured this kind of thing was in the works for ONE with all of its recent free agent signings. In the past three months, ONE has signed three major American free agents in former UFC flyweight champion Demetrious Johnson, former UFC lightweight champion Eddie Alvarez, and top welterweight prospect Sage Northcutt. Although ONE surely hopes all three of those fighters become crossover stars for the promotion in its Asian markets, all three are already notable names in the United States, and all three are perfect fighters to help the organization make headway into its new market. For MMA fans, this move is tremendous as it gives fans of ONE’s product in the U.S. a better opportunity to watch its product. ONE puts on great fights, but sometimes their events have been hard to watch for fans not living in Asia. This new deal with Turner Sports should help with that. Not only that, but this deal should help grow a new group of fans in the U.S. as well. There are tons of MMA fans out there who have only watched the UFC and maybe some Bellator, and ONE will be brand new to them. Now with the opportunity to watch ONE’s events on Turner’s programming networks, this is huge for MMA fans who want and need more of a fix of their favorite sport. And it goes without saying that’s going to be huge for ONE itself, as more fans means more eyeballs on their product. Ultimately, this move signals to me that ONE wants to become a legitimate alternative for fans of the UFC and Bellator. ONE has a different ruleset, different fighters, and a different product. It’s good to have more options for the fans, and now that ONE will be more accessible to fans in the U.S. that can only help grow the promotion’s fanbase. It’s also a good thing for the fighters, as the more money ONE can make from this broadcasting deal the more money it can put into its roster of fighters. We’ve already seen ONE make major moves in signing Johnson, Alvarez, and Northcutt, but perhaps with more money in the coffers from this TV deal the promotion will look to make even more splashes in 2019. The more promotions out there that can pay the fighters good money the better. ONE is still behind the UFC and Bellator when it comes to the U.S. MMA fanbase, but this move to bring the promotion to Turner Sports can only help the product grow outside of Asia. ONE has been putting on great fights for years and now with its new free agent signings the quality of its product should grow even more. MMA is not just the UFC and Bellator, it’s everything that’s available around the world, and this new deal will make ONE a little easier for fans in the United States to watch. ONE may be far behind the UFC right now, but in a few years’ time who knows where ONE will be. This deal with Turner Sports is certainly a good first step.